Ramallah is, without a doubt, one of the craziest, busiest cities I have ever been to. And I’ve hung out in Times Square a bunch of times. There are people EVERYWHERE. In the streets, in the sidewalks, in the stores. At least on that Friday when we visited, that was the case. 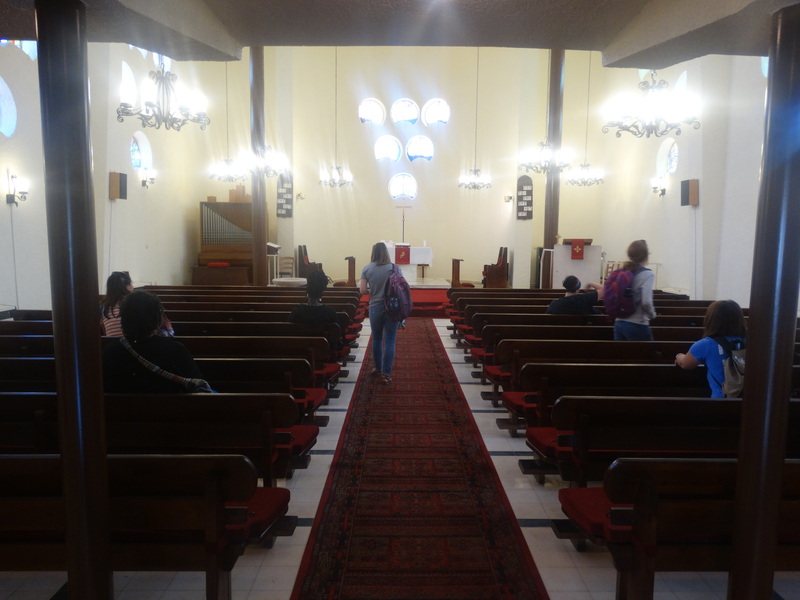 It was an hour and a half taxi ride through some VERY up and down hills from Bethlehem. The traffic was also incredibly backed up – we noticed that more on the way out. There is a checkpoint that you have to go through to get out of Ramallah. Janelle pointed out that the 45 minutes or so we spent in traffic was indicative of the time that many residents of Ramallah have to spend on a regular basis to get in and out of their city. 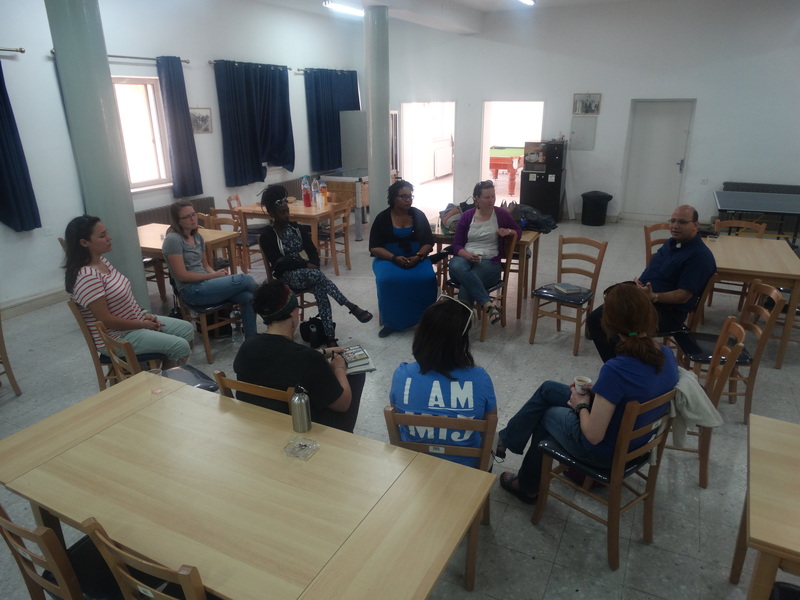 Our main destination in Ramallah was Hope Lutheran Church and conversation/Bible Study with Pastor Imad. He is incredibly brilliant and his words caused lightning sparks of connection and knowledge to flash in my head, and so I will just let some of his words that I journaled speak for themselves. Photos by UB, again. 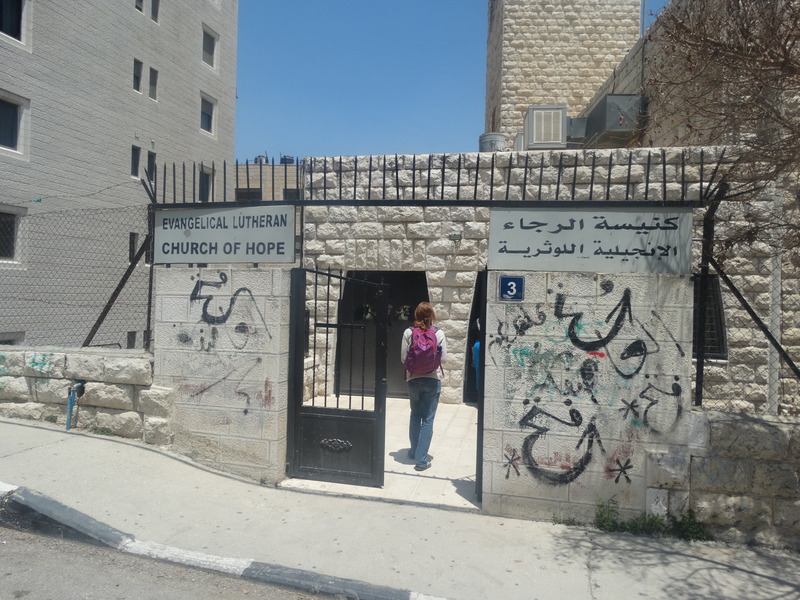 -“We need the church to be with the people wherever the people is.” That’s why Hope’s community center, where we were gathered in the above picture, is open every day from 4 – 11. People can come and watch soccer there, get snacks, hang out. -“It is a community journey to live God’s image. 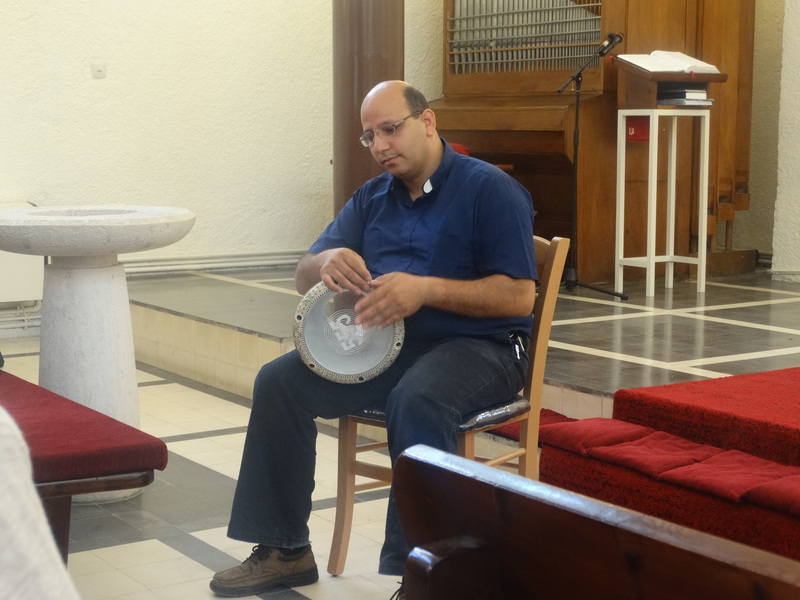 Pastor Imad is also a brilliant drum player. We were blown away.